TERROR MOUNTAIN - Grundos, when fired from the Space Station, when Sloth finally replaced them with machines, were forced to move elsewhere. They went to Krawk Island, Roo Island, Jelly World (even though that doesn’t exist), the Lost Desert, Kreludor and even primitive Meridell. Some moved to the cold climes of Terror Mountain where they encountered bouncy Blumaroos, benevolent Bruces and vicious snowbeasts. The displaced Grundos had no choice but to defend themselves against the last of these creatures using the one thing they had plenty of - snow. Crafting snowballs and tossing them at snowbeasts was not only a great way to defend themselves but was also became a fun pastime. The craze spread across Terror Mountain and many Grundos found new jobs throwing their snowballs in the game "Grundo Snowthrow". When the game became retired, these poor Grundos were out of a job once again. The Grundos planned to move on once more until they discovered Snow Wars II. At last! A chance to throw their snowballs once more. However, the game was hard - very hard. All the Grundos and the Neopians who flocked to play the game didn’t know where to start. There were Lupes this time and powerful catapults ruining the Grundos' walls. Well, all you Grundos pay attention now! 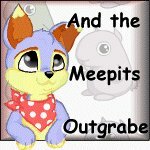 Here is something that might help you - a handy guide to have you breezing your way through one of Neopia's most difficult games. Let's start. Your goal is to defeat the enemy and protect your snowmen with the help of a number of snow blocks. This game has 3 stages in each round. Stage One: Surround a snowman. Surround one or more snowmen with snow blocks to protect them. You could use the spacebar to rotate the blocks to make neater barricades. Stage Two: Place your catapults. Place your catapults in the blue area and its surroundings ready to war with the enemies. Stage Three: Attack the Lupes and enemy catapults! Now you can use your catapults to fight off the Lupes and catapults! Do this fast, because they are ruining your snow fortress and the snowmen within. Tip #3 Check your holes! Tip #9 Don't... get... MAAAD! Now let's look at these in more depth. If you lost a lot of blocks and you’re pretty slow at the game, then a backup fortress and snowman is a nice solution. Place some catapults in this backup and place a lot of partition walls to surround your snowmen. That way, it’s easier to make a backup or even a backupbackup! (more of that later). This is absolutely essential to survive the harder levels but is not wholly necessary in the first levels. This is a really easy game to earn 1,000 neopoints a game with. Score over 850 and 1,000 neopoints are yours. "Why? ", I hear you and the Grundos ask. Well, first of all, this game needs fast clicking to get a great circle around the snowmen. If you practice daily, your clicking will be faster. Fast clicking is really needed to complete the later levels and the building stages. Tip 3: Check your holes! When the timer goes to zero, the battle will still continue. Don’t watch the remaining flying snowballs - check your holes! In the build stage you'll be able to find your holes more easily and you’ll have more time to move blocks accordingly. Tip 4: Try to have a backupbackup. Fancy name, neh? If your backup fails, you should try to surround a backupbackup snowman. Place a lot of partition walls to surround your snowmen. This is not needed when you have a really good backup but is great to have to fall back on. The catapults destroy your blocks. Lupes, on the other hand, don’t do much except destroying your snowmen when they can reach them. They are really annoying, those creatures, I know, but don't be distracted - aim for the catapults; that way you’ll have more time to recover your walls. A good battlefield can be defined as a field where the snowmen aren't too close to the walls. You must have enough space available in which to place your catapults - and let your snowmen breathe, of course! Tip 7: Target those Lupes! When you've hit all the catapults, you can take time to aim for the Lupes. But! Be sure to aim in front of them. They usually move forward (sometimes to the sides too) so this way you will generally hit more Lupes. And more Lupes = a higher score. You need to be focused on the holes in your walls. "Focused" and "sound" do not often go hand in hand... switch those speakers off. Tip 9: Don't... get... MAAAD! Get even! Don’t get mad too fast! Breathe deeply and protect the areas you have left. When there is time over, you can always try to win the area back if it meant so much to you. In the catapult arrangement stage, don’t place too many catapults. This can sometimes come back to haunt you, annoying you when you're playing the game by taking up space you need otherwise to build walls. - Easy (0-4) levels: place as many of them as you can. - Medium (4-8) levels: place around 3 catapults. - Hard (8 and above) : DON’T PLACE ANY CATAPULTS. They will only annoy you when you are building walls. So, here's your whole Snow Wars II strategy, handily summarised in a bite-sized chunk. - Before the game starts: are you sitting comfortably? Did you remember to turn off the sound? - Placing the catapults: don’t place too many in the harder levels, but place them ALL in the earlier levels. - Battle stage: did you survive the build stage? Good. Now start with the real game. :) Aim first at the catapults, then at the Lupes (aim in front of them!). Did you also check your holes when the battle was over? Good. - Build stage: try to make your backup and, if you can, a backupbackup with the help of partition walls. Author's Note: I am not obsessed with Grundos... really, I'm not!